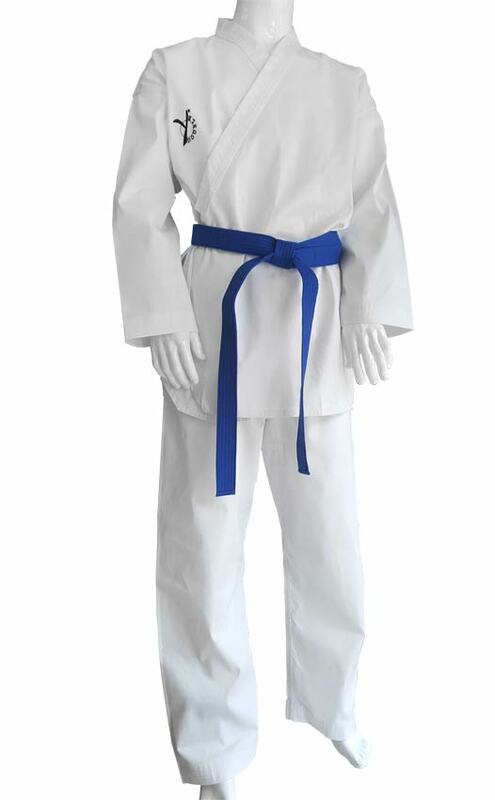 Poomsae Taekwondo uniform for Male and female, white collar. Ample fit with multiple reinforcements, ribbed fabric, 65/35 polycotton, 230 gr. Breathable and durable ribbed fabric.